So I got a Henna Tattoo…. I recently attended a Diversity Day event in the area. It was pretty entertaining as they had food, dance and all kinds of presentations going on. There were people representing different parts of the world and my attention was drawn to the Indian booth that served teas and gave complimentary tattoos. I decided to get one out of curiosity. Mind you, I’m no stranger to diversity; growing up in an African household exposed me to a lot of different cultures. But I must say my Christian upbringing shielded me from a lot. Now that I’m my own person, I’m not as skeptical to try out new things and learn more about different beliefs and perspectives. My attention was captured by the smell of Chai Tea and a long line of curious looking women. Most of them walked away with flower, glittery tattoos. Some of them were getting the design on their arms while others got them on their ankles. They were nice, but I didn’t want what everyone else was getting, so by the time I reached the front of the line I decided to get something that would represent what I was going through; change, a new start. 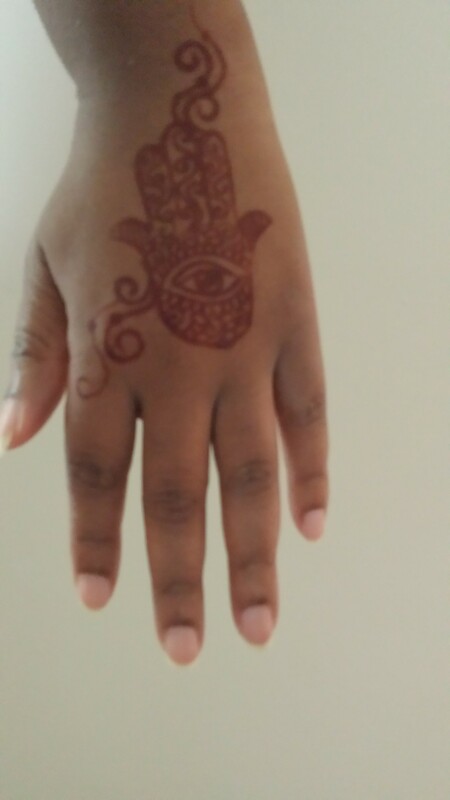 The lady doing the designs said she would put a “Hamsa” symbol on me to represent what I was looking for. She told me it would protect me from negative vibes of hatred and jealousy as I embarked on my new start. 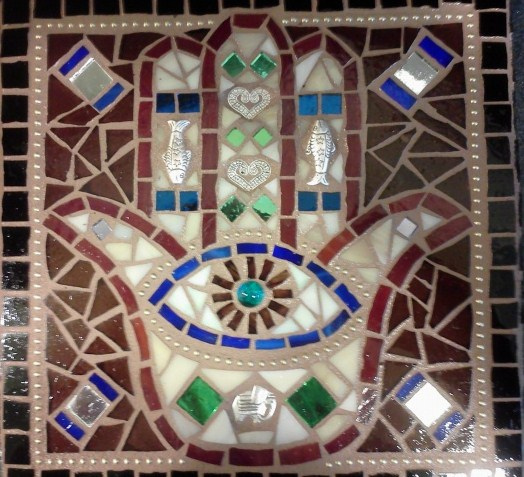 Hamsa is a symbol widely used in the eastern part of the world by different religions to include Hinduism, Buddhism, and Judaism. Each religion has its own affectionate translation for it, but generally speaking, it’s a symbol of protection against evil forces. The lady told me that I would be protected in my new start and that negative energy wouldn’t affect it. Yay! The connections this experience has to my development as a writer are endless. Not only can it open the mind to new ideas and concepts it can also be used as a motivator to take fresh approaches. For instance, I recently sat down and reevaluated my freelance pan and the priorities involved. It was especially useful because of the adjustment period I’m going through at the moment. Other things are going on for me that have caused things to slow down a bit with writing. I believe in the impact of positive energy and want to embrace it in my growth as a writer. Want to learn more about henna tattoos? Go here! As always let me know your thoughts and experiences in the comment section below!